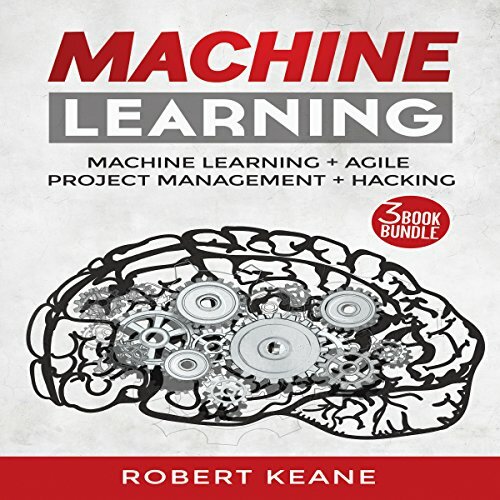 Your ultimate guide on machine learning, agile project management, and hacking. This audiobook includes three manuscripts! Machine learning is vital to the world of information technology. While many people may have no idea what machine learning is, they have probably used it sometime in their daily lives. For example, if you have ever done a search query on a search engine, you have worked with one form of machine learning. The program to do your search query has been trained to find the best results based on what you are looking for, and it will also learn from the choices that you make. Agile project management has grown in popularity over the past several years. Change is occurring so fast that many organizations are unable to keep up with the demands of a changing global world. Your ability to quickly change and adapt to your environment will make or break, not only your career but could be the deciding factor as to whether your company survives in the coming years. The world of hacking has changed so much in recent years. New attacks are being made, and learning how to protect your system can be difficult than ever before. This guidebook has all the information that you need to learn about some of the most common attacks that are going on in the world today as well as some of the things that you can do to protect yourself. 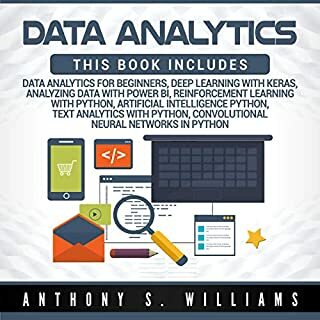 This is a not practical guide, as many of the tools that are used now did not exist when this book was published, but provides an excellent theoretical grounding in how many popular machine learning models are constructed. This "author" appears to have compiled a bunch of internet search results about buzzword topics without having any background in them. Selling this high school level essay as an "ultimate guide" is either delusional or a plain scam. I am using this textbook for a Machine Learning class. While my professor is excellent, I must say that this book is a welcome addition to class. It is so well explained that I actually enjoy listening it. The examples are well structured and it greatly helped me understand the material. The definitive text on Machine Learning. GREAT QUALITY FOR PRICE! Although this seller had few reviews, I was somewhat doubtful, but the item I received shipped in about 2 days with great quality for a used book! Love it! A good book. It's rather dry listening, but seems to be a good overview of machine learning. I've only used it for supervised learning so far in my grad ML class. Short but concise. Brilliant introduction to each of the topics without labouring too heavily on details, but providing enough information that reader could use straight away. I purchased another book in the past that I did not like. The information was very hard and I just lost interest.This book seems to focus on simple information. I was looking for something with more details that covers all different algorithms. This book is exactly that. My python knowledge is also just basic and I haven't struggled at all. 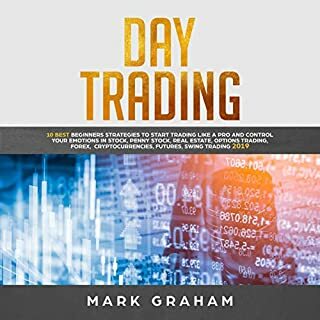 This is also one of the best book which is easy to understand and well written have some more helpful data availabale in the book which makes unique this book than others which I already read thanks. 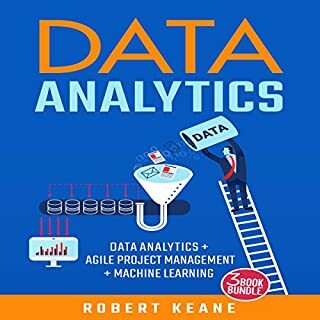 The algorithm of machine learning is not too easy to understand so I ever get help from different books to make a verity of knowledge base material. 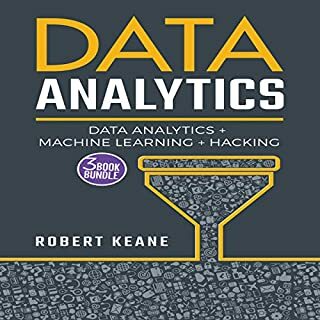 This book is a quick paced, the careful prologue to Machine Learning that will make them compose programs, tackling issues, and making things that work in no time.After reading this book you will get a solid comprehension of machine learning, Highly recommended..! 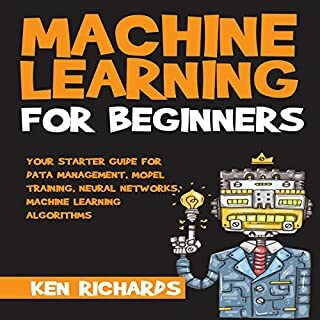 The objective of this book is to give you a hands-on, venture based diagram of machine learning frameworks and how they are connected over an immense range of uses that supports AI innovation from Absolute Beginners to Experts. The author makes sure that the readers can understand every detail of this book. 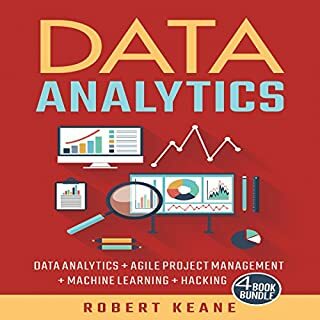 Thanks to Robert Keane for this great book. The book is worthy of attention! Highly recommend. Each of the books is clear and informative. Aimed at an informed but not expert audience.